The Shul Tallit has been the long time classic synagogue tallit. 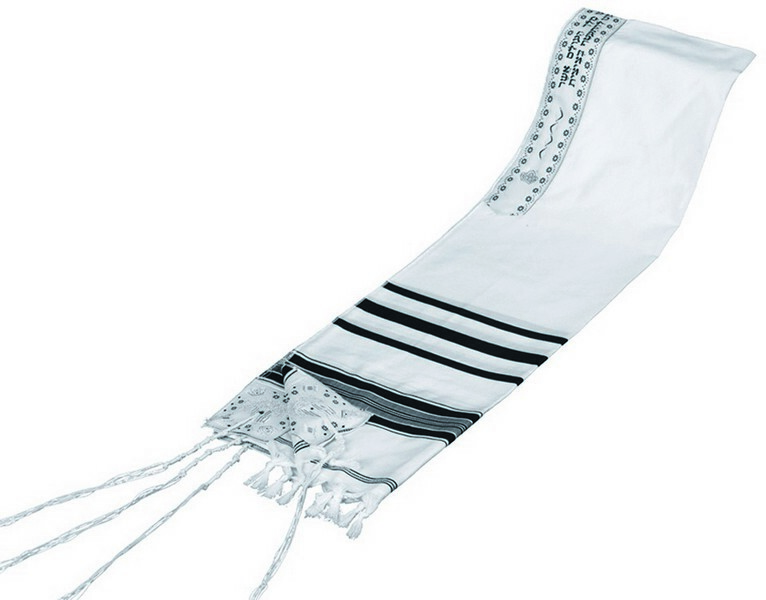 The wool look acrylic material gives this tallit the classic look as well as offering an economical choice. Tallit comes with classic solid color stripes with an option of additional slender silver or gold stripes. In addition, this Tallit is a perfect choice when purchasing in bulk for synagogues and other venues where Tallits are used and distributed on a large scale. The tallit comes complete with a matching atarah neckband embroidered with the Hebrew tallit blessing. All four corners are reinforced with an extra piece of matching decorative cloth. Both sides have the knotted style fringe finish. 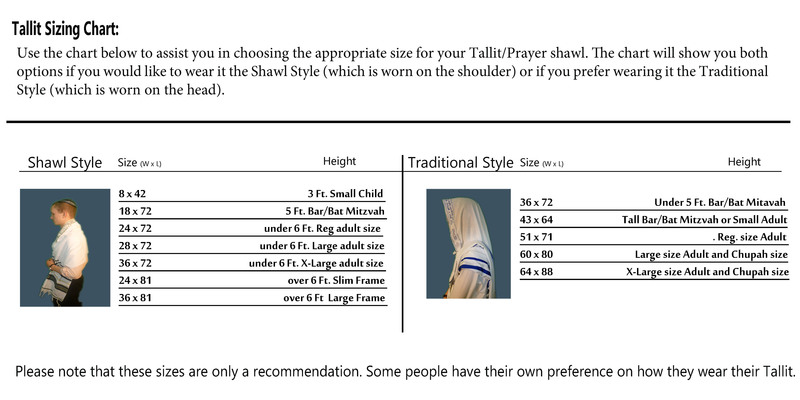 The Shul Tallit is available in both basic shawl and traditional style sizes.